• HIGH-QUALITY MATERIALS – The frame and panels (matte white) of inspirational plaques for home are made of high quality, reliable, durable, light, and eco-friendly MDF wood. Thanks to that wall decor will last you for years. • STYLISH HOME DECOR SIGNS – Decorate your home with motivating and inspiring lines of the wall plaque. It fits perfectly and can become a part of an elegant interior of your home, classroom, office, workspace and much more. • HI-TECH TECHNOLOGY – During the production of room decor is using the most advanced and eco-friendly technologies. With high precision and quality, the text cutting is made with new modern 3D laser cutting technology, which gives wood wall art unique views. • UNIQUE CONSTRUCTION – Convenient and straightforward construction of the wall decor with the sturdy frame and several protective caps that cover the main canvas and a sheet of colored paper, protect your design from moisture, dust, and dirt. • SPECIAL SET 4 MULTI-COLORED INSERTS – Wow you can easily change the color of the letters on the chalkboard inspiration! Also, you can buy and pick your own colored inserts. SET Colors: blue, black, white, pink. 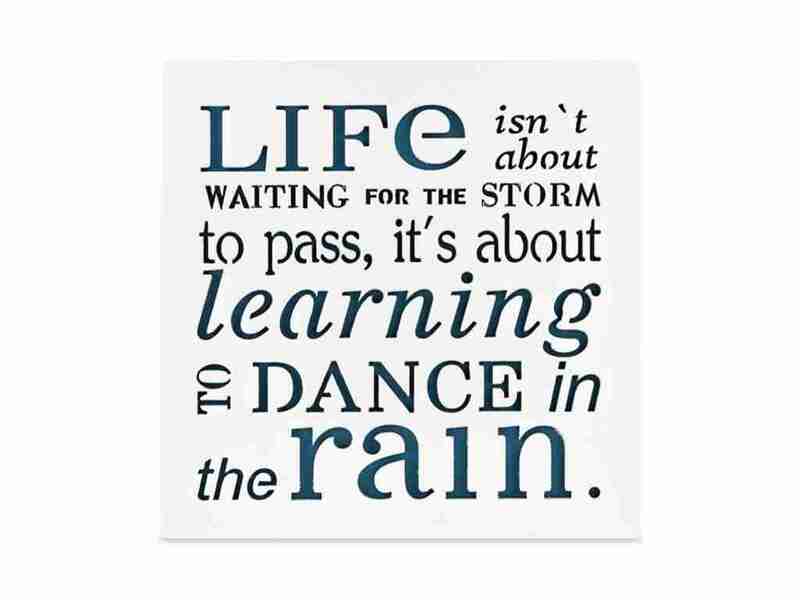 Tagged Dance, decor, gifts, Inspirational, learn, motivational, plaques, rain, sayings.